You may remember a few years ago that there were two movies about the White House being taken over. One was called Olympus Has Fallen. It was a pretty terrible movie. But it made a ton of money. So, a sequel was inevitable. What have they decided to destroy in the sequel? London! The trailer was released last week and is filled with tons of destruction of our beloved city. Some may find this trailer distressing. I’m not sure how I feel about it. I’m a sucker for movies set in London but not if the movie wants to blow it up. The movie will probably be terrible. Check out the trailer below. I don’t often agree with your take on London and the UK, Jonathan but this time I do. 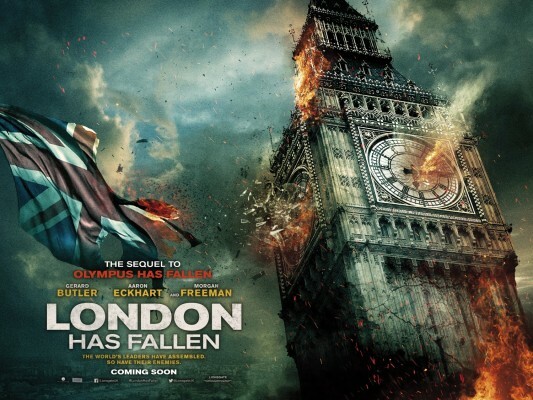 I love movies about London to see the famous sights but not sure I want to see them all blown up! I’ll probably watch it at some point.